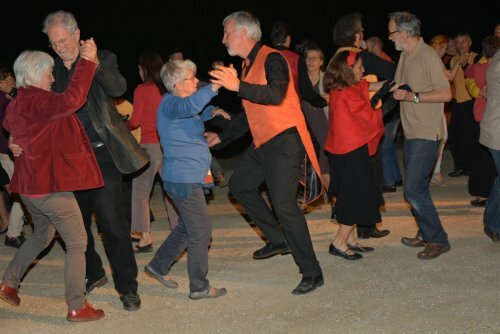 Home page > Events > Dance > Dance Workshop: "June 17th, 1875 in Aix-Les-Bains"
The dance troupe Le Quadrille d’Elsa will finish their Scottish tour of performances with a talk and dance workshop to be held at the Institut français d’Ecosse. The evening promises to transport you to another time with its distant, but not forgotten tunes, rhythms, and dance steps: June 17th, 1875 in Aix-Les-Bains, at the foot of the Alpes, besides the Lac du Bourget. The two-hour event opens with a talk on the quadrille and other period dances by the troupe’s artistic leader Farid Daoud. Following his presentation, Le Quadrille d’Elsa will bring his words to life by demonstrating and leading participants through various historical social dances, such as quadrilles, polkas and waltzes. Based in Chambéry, in Savoie, the dance society was created in 2014. It brings together 24 members, united by the common pleasure they take in demonstrating and teaching dances from La Belle Epoque (1850-1920). Passionate about passing on his knowledge of music and dance, Farid Daoud is the Artistic Director of the Compagnie de pratique vocale Couleurs du Temps and Deputy Director of Artistic and Cultural Development for the Department of Savoie. He is also the artistic leader of Le Quadrille d’Elsa. To take advantage of discounted member rates on events like this one and others throughout the year, we invite you to become a member of the Institut français d’Ecosse.